Novasep Industrializes Potato Protein Purification Unit for Solanic B.V.
Novasep, a leading supplier of services and technologies for the life sciences industry, has partnered with Solanic BV, an AVEBE Group Company, to industrialize its purification process to produce high performance potato proteins for the food industry. This partnership takes place in a very dynamic context, with the global plant-based protein market growing rapidly and expected to reach more than USD 10 billion by 2022 at a CAGR of 6.7%. 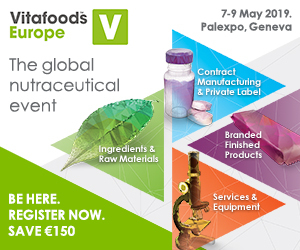 Novasep‘s purification technologies and process know-how will help manufacturers produce new high-quality vegetable proteins for the food industry. The new installation, commissioned in April 2018, will meet the sharply rising demand for Solanic® products. This second line will double the existing production capacity of the plant. These installations are the first industrial compact-bed chromatography systems for vegetable proteins purification and represent a step forward for plant-based protein purification by optimizing productivity and purity levels. The deployment of Novasep’s purification technologies in these new dynamic markets will contribute to reaching the objectives of the group’s Rise-2 strategic growth cycle.